NASHVILLE, TN — Mount Zion Baptist Church, Nashville’s largest megachurch, is recognizing the 25-year pastoral legacy of its senior pastor, Bishop Joseph W. Walker III, by hosting a free benefit concert Friday, March 31 on behalf of St. Jude Children’s Research Hospital. 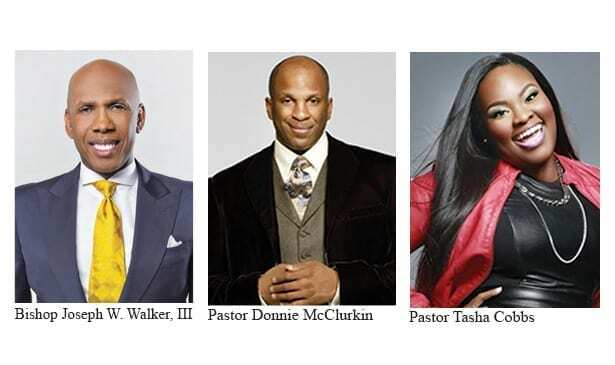 The concert will feature award-winning gospel artists, Pastor Donnie McClurkin, Pastor Tasha Cobbs and Brian Courtney Wilson, and will include a special offering during which the artists will encourage concert attendees to give to St. Jude to support its pioneering work treating childhood cancer and other life-threatening diseases. The concert is part of Mount Zion’s ongoing commitment to St. Jude. Last year, the congregation raised $60,000 for the hospital as a St. Jude’s Sunday of Hope participant – the largest amount raised by any participating church. For Bishop’s anniversary celebration, the church hopes to exceed its current fundraising record during the special offering. All people are welcome to attend the concert, which takes place at Mount Zion’s Old Hickory Boulevard location at 7 p.m. For more information, please visit www.mtzionnashville.org Seating is open, and early arrival is recommended. The 25th Anniversary of Bishop Joseph W. Walker, III, Recognized as a man from humble beginnings from Shreveport, Louisiana, Bishop Walker is not just a pastor, he is a teacher, author, humanitarian, philanthropist, businessman, community leader. At the age of 24, he began his pastorate at Mount Zion with just 175 members. Early in his position, Bishop Walker could often be seen on local college campuses in Nashville, encouraging students to become the change they want to see in the world, which resulted in thousands of millennials becoming an integral part of the church’s worship service. Using this grassroots method, Mount Zion’s membership stands at 30,000 today. For 25 years, Bishop Walker’s stirring oratory and pastoral approach has captivated people of every age and from every walk of life. He believes that change is not only inevitable and necessary, but good. This approach is manifested in his embrace of the technological revolution that is defining the 21st Century. He is a firm believer that we should use the tools of modernity to serve God and one another. Bishop Walker also serves as the Presiding Bishop of Full Gospel Baptist Church Fellowship International, which consists of hundreds of churches across the globe that are joined together by common doctrine. About Mt. Zion Baptist Church. Mount Zion Baptist Church is a Word-centered ministry designed to evangelize the lost at any cost, equip and empower the people of God and provide holistic ministry to our community as well as the world. Seeking to minister to the total person, we are a multi-ethnic, multi-cultural ministry impacting the world in which we live with the uncompromising message of Jesus Christ. 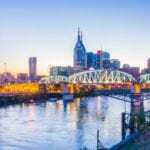 Committed to the spirit of excellence, we are striving to become an oasis of hope within the Nashville community by promoting and providing education and awareness, as well as financial independence. Mount Zion Baptist Church is one church located in the three locations and accessible virtually anywhere via mtzionanywhere.org to millions around the world.